Irrigation systems play an important role in maintaining any lawn and landscape in Southwest Florida. Local watering restrictions, seasonal changes, lawn & plant health, traffic patterns and more are all considerations when planning properly designed irrigation systems. Watering your lawn & plants can encourage healthy growth, reduce damaging pest and keep your landscape investment green & lush for years. Dragging a water hose around your yard is a great inconvenience as well as an insufficient use of valuable water. Proper planning and the correct irrigation systems installation takes the effort and guesswork out of keeping your landscaping watered effectively. SW Florida has a unique weather environment. The dry season in SW Florida typically starts mid-October and runs through May. This is when some of the biggest stress can occur for both plants & lawns in our area. Local watering restrictions typically limit irrigation system usage to only a few days a week and designated hours of operation. 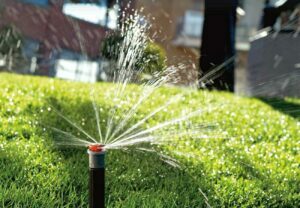 A properly design irrigation system should have a variety of water release options to meet the demands or water restrictions while providing adequate water for your landscaping. All of the irrigation systems that Coastal Irrigation & Plumbing completes includes easy to use adjustable timers, flow control irrigation heads and even drip irrigation. Your landscaping is a big investment. Shouldn’t you protect it with a properly designed and installed irrigation system? Coastal Irrigation & Plumbing offers expert irrigation systems repairs, installation, & replacement on most every system in use today. Now offering CoastalCare, we are one of the few companies in SW Florida providing a worry free annual maintenance plan. For help with your irrigation systems needs please complete our online request form or for the fastest response call one of our four area locations today. If you live in Southwest Florida, you know how important it is to have an efficient irrigation system installed on your property. Your landscape is a vital piece of your property and it needs to be taken care of properly. Let Coastal Irrigation do all the hard work, our staff has many years of experience and are capable of handling any irrigation system need you may have. If you live in any of these cities in Southwest Florida and are in need our irrigation services, please contact us today! We are the premier irrigation company in Southwest Florida, you can trust that we will be able to get the job done!